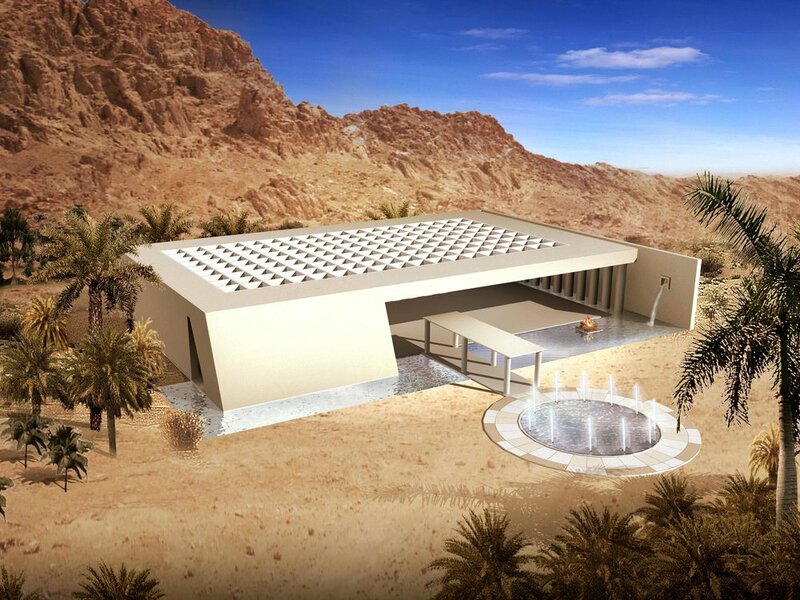 Following the awarding of the commission to design the Jebel Hafeet Summit Resort, Dreamtime was commissioned to conceptualise, master plan and design a new national park to surround the Summit Resort at the base of Jebel Hafeet Mountain. Facilities within the luxury park includes: A total of 40 6-star Villas (located at the top of the mountain), The Inn Spa Resort containing 60 5-star Villas , Boulders Resort with 120 5-star rooms, The Champions Desert Springs 18hole championship Golf Course and 150 Residential Villas surrounding the course, Polo Club & Equestrian Centre, Tented Eco Resort and Open Air Fine Arts Amphitheatre. Concept Creation, Architecture, Interior Design, Master Planning.